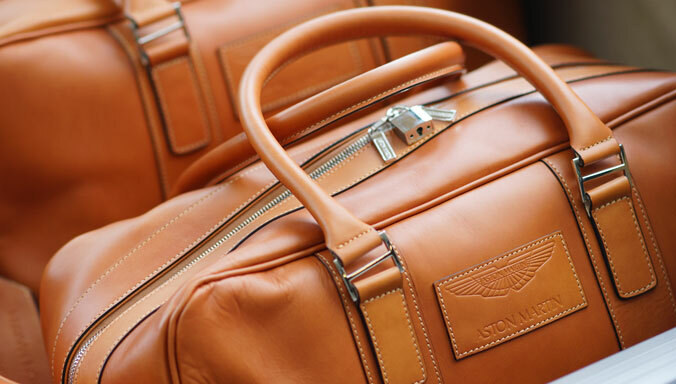 Aston Martin is unveiling two exclusive new special editions for North American markets at the 84th New York International Auto Show this week. Irvine, CA, 15 April 2014 - Aston Martin is unveiling two exclusive new special editions for North American markets at the 84th New York International Auto Show this week. 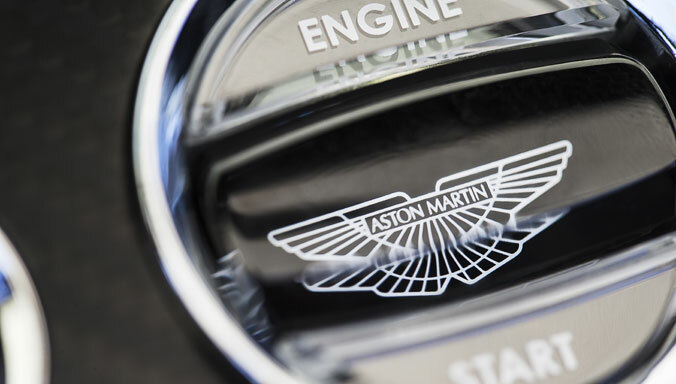 The great British sports car marque, now in its 101st year, is debuting a bold addition to its iconic V8 Vantage range as well as dramatic new special edition variants of the timeless DB9, underlining the company’s ability to create cars that sit apart from the mainstream. 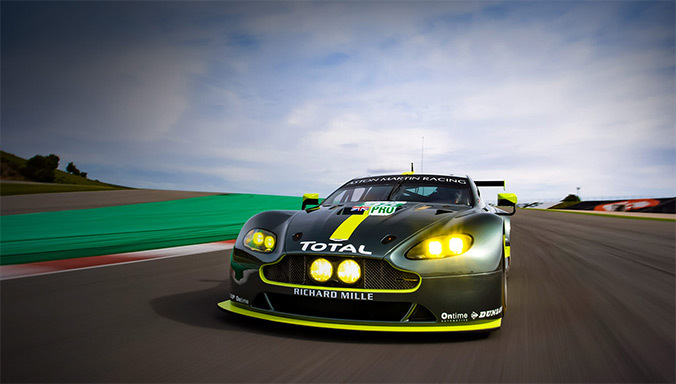 Making the Aston Martin brand more accessible to sports car enthusiasts than ever before, the bold new 2015 Vantage GT combines race-honed dynamics and looks with a new sub-$100,000 price entry point and comes in Coupe or Roadster form, each offered with either six-speed manual or seven-speed Sportshift II automated manual transmission – both delivering 430bhp and a top speed of 190mph. 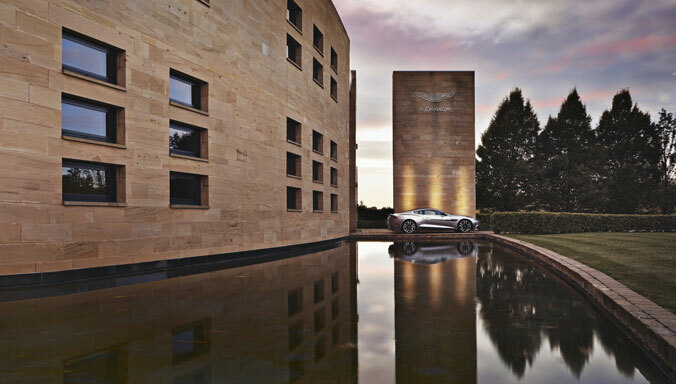 Enhancing the enduring allure of Aston Martin’s seminal GT, the DB9, the Carbon Edition models deliver eye-catching looks and classic elegance, again in either Coupe or Volante. 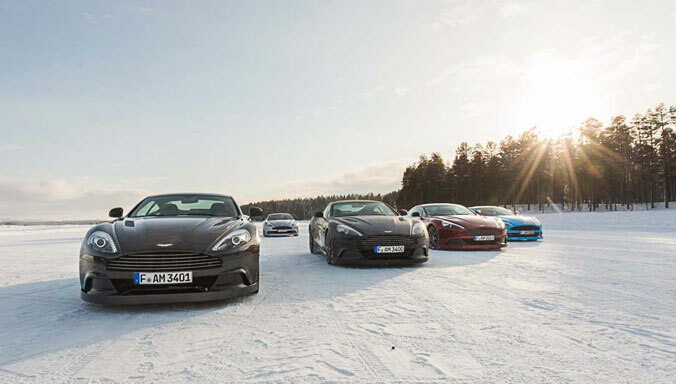 Pure, unadulterated fun is what lies at the heart of the new V8 Vantage GT. Honed on the track to excel on the road, Vantage GT – available in Coupe or Roadster form – delivers a power hike to 430bhp at 7,300rpm. 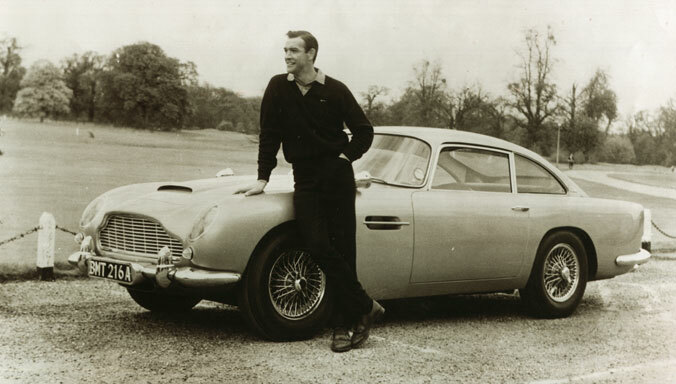 This means a top speed of 190mph and a reduced 0-60mph time of 4.6 seconds. The increased power and torque are achieved through a valved air intake system and an aggressive spark strategy. The air intake system valve opens at engine speeds above 3,500rpm to allow greater air flow into the engine which in turn helps increase power and optimise performance feel. Meanwhile the aggressive spark method uses sophisticated electronics to ignite the fuel in the engine at precisely the right time allowing the engine to run at its most powerful. 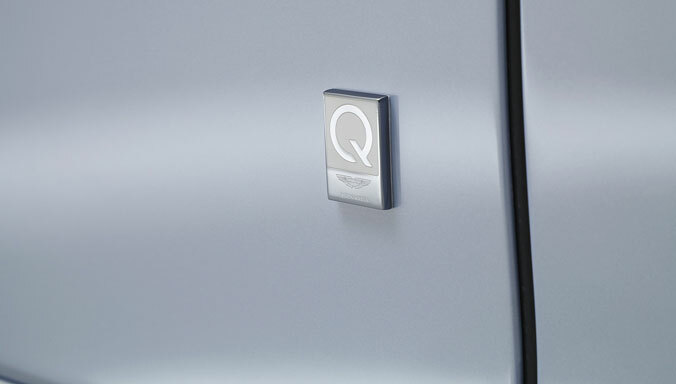 It can also recognise higher octane fuel and extract the optimum performance from the increased rating. Designed with the purist in mind, that power feeds the rear wheels through a sporty six-speed manual gearbox as standard equipment; with the option of a close-ratio seven-speed Sportshift™ II automated manual transmission with short final-drive ratio for those seeking to capture the motorsport thrill. The new Vantage GT brings together the best of the V8 Vantage’s performance and dynamics to deliver race-winning responses. A front mid-mounted, 4.7-litre, all-alloy, quad overhead cam, dry-sumped V8 engine is complemented by a rousing sports exhaust, aerodynamics honed through numerous wins in GT racing and a competition-derived braking system. The compact proportions and inherent balance of the Vantage design are supported by a carefully calibrated sports suspension tune and quick-ratio steering rack that rewards the true enthusiast driver on road, and on track. Styled to evoke thoughts of the track, Vantage GT celebrates Aston Martin’s sporting heritage and motorsport success, drawing direct inspiration from the Vantage GT4 race car which will be seen in competition across North America during the 2014 season. A purposeful package of dark-themed exterior details include graphite painted diamond-turned alloy wheels alongside black headlamp bezels, side window surrounds and textured tailpipe finishers. Clear rear lamps with black surrounds convey the appropriate air of purpose and excitement. This neatly offsets a series of eye-catching liveries with optional graphics packs available on Vantage GT. 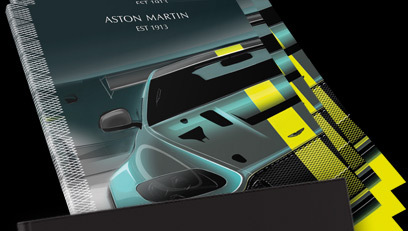 Offering a nod to Aston Martin’s race heritage including the Le Mans-winning DBR1 and hugely successful DB2/4 of the 1950s, the exterior themes of Alloro Green, Jet Black, Skyfall Silver, Mariana Blue and Speedway White can be personalised further with contrasting graphics adorning grille lipstick, mirror caps, A-pillar/cant rail (Coupe only) and rear diffuser blade. With a range of new technical and tactile materials plus new finishes inside, as out, Vantage GT's sporting associations are unmistakable. New interior features and materials include machined carbon sill plaques, black magnesium paddle-shifts or carbon fibre gearshift surround; satin chrome rotaries; a leather (or Alcantara) steering wheel with contrasting on-centre stitch feature; seat and door inserts in technical Plissè Alcantara and unique seat trim patterns. 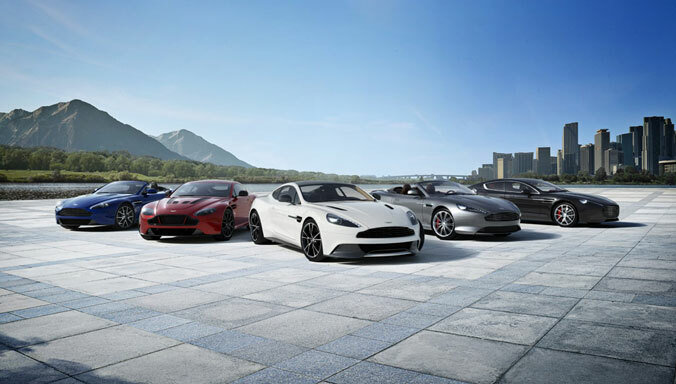 Occupants are cossetted by distinctive Aston Martin sports seats as first seen on the V12 Vantage S.
Priced from $99,900 RRP, first deliveries of the new Vantage GT will begin in quarter three to North American customers. 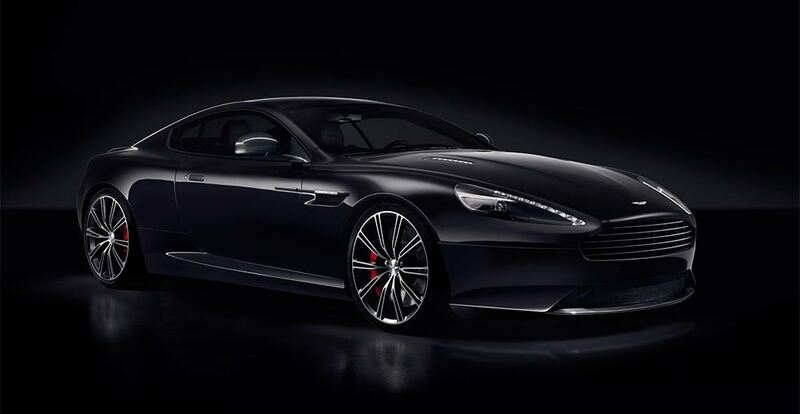 The Aston Martin DB9 family grows at New York with the arrival of the Carbon Edition. Style and visual drama are the special editions hallmarks as they perfectly emphasise the timeless GT’s sporting nature. 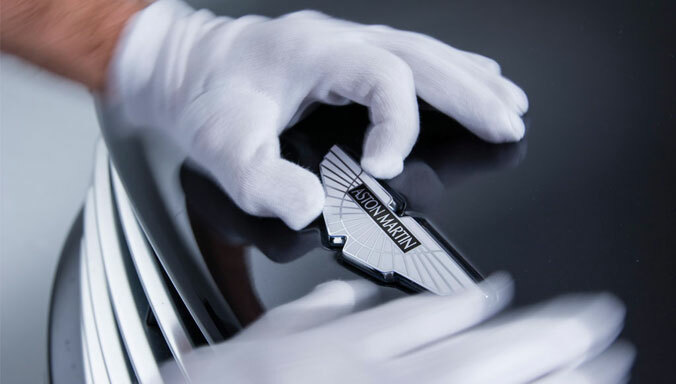 The DB9 Carbon Edition is led by two distinctive specifications; Carbon Black and Carbon White or alternatively customers are afforded the choice of the Aston Martin colour palette to personalise their own carbon creation. The new Carbon Black accentuates the 183 mph DB9’s 6.0-litre V12 potential through a strong dark theme underpinned by a unique combination of lightweight carbon fibre features. Meanwhile, the contemporary Carbon White special edition creates a dramatic visual effect with the carbon fibre and dark elements contrasting strongly against the Stratus White paint and accented caliper colour. Striking exterior additions for both Carbon Black and Carbon White editions include carbon fibre side strakes, rear lamp infills and black meshes and window surrounds reinforcing the powerful visual themes. The carbon theme can be extended further with optional carbon fibre front splitter, rear diffuser and mirror cap/arm features. Standard exterior equipment also include 10-spoke diamond-turned alloy wheels available with either silver or satin black finishes and a choice of red, yellow, grey or black brake calipers. Inside, a strong black styling theme with a choice of accent colours in line with the caliper shade showcases carbon fibre details and new black hardware. Bespoke sill plaques with the Carbon logo, communicate the cars’ rarity, too. Of course the styling changes don’t alter the DB9’s inherent grand touring capabilities, qualities that make it the world’s most admired and desired GT. Today’s DB9 features the modern AM11 V12 engine which uses ‘Gen4’ VH architecture and hardware, tuned to suit the character of a classic GT. The result is an engine with effortless torque of up to 457 lb ft and peak power of 510bhp. Priced from $199,995 RRP first deliveries of the new DB9 Carbon Edition commence in quarter three to North American customers. The 2014 New York International Auto Show opens to the public on Friday 18 April at the Jacob Javits Convention Center, running until Sunday 27 April.